Co Lab Extreme Volume Paris Dry Shampoo Review! As most girls will agree, dry shampoo really is a girl's best friend. It has saved me from many occasions when I've been in a rush to get out for work in time or when I'm ready to go out with the girls and my hairs been flat so I've sprayed it for a bit of volume. It really is a life saver! I like to think that I've tried many of the different versions out there and although I do love my Lush No Drought and the many versions of Batiste, I still like to mix it up a bit and try something new. 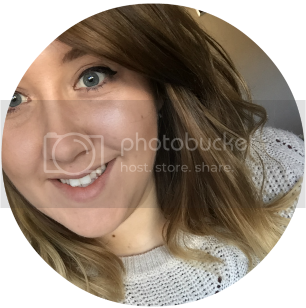 On one of my recent trips to Superdrug I decided to show some blogger love to Ruth over on A Model Recommends (like she needs a shoutout!) and check out her fairly new dry shampoo range. I must admit that I've seen it a few times but for some reason I've never convinced myself to pick a can up but this time I was determined to try one! I was a little overwhelmed with the amount of choice and since I was in a bit of a rush to get out (school holidays means lots of kids crowding the aisles!) I went for the Paris can purely because it was called Paris and it was pink. Obviously a good reason to pick something! I didn't actually realise that it was extreme volume version until I got home. Oh well! The Paris fragrance is said to be very sweet and a floral bouquet of jasmine & rose with a touch of patchouli but the first thing I thought of when I sprayed it was men's deodorant. Am I the only one? Either way I really loved the smell and I was happy to smell that it stayed in my hair for the whole day. The extreme volume part sounded a little scary - what's so extreme about it? Similar to the Batiste XXL Volume can, you can feel the spray working it's magic on your roots, like it actually makes it feel thicker and more "solid". Make sense? No? Great. The actual whole point of dry shampoo is "Does it make your hair look less greasy" and overall the answer was yes. Not only did it stop my hair from looking oily when I applied but it also lasted throughout the day. Normally most dry shampoos will only work for the first couple of hours and then the dreaded wet fringe look comes back but this dry shampoo kept my hair dry all day! Overall I'm in love with this dry shampoo and I really want to try out the rest of the collection. Any favourites you think I should try? Check it out here and the rest of the ranger on the Superdrug website. I havent had the best of luck with dry shampoos to be honest, but this sounds like a keeper. I love the Colab range but I've not tried this one. It's a struggle to chose which one I love more, this or Batiste haha.